Our 4×4 safari land cruiser for hire in Uganda has the ability to maneuver across the Ugandan terrain during any season of the year. The vehicles are extended and spacious with enough seating space and leg relaxing space. They offer the best considerable height which makes them the best for game viewing in the savannah plains of the safari parks especially Queen Elizabeth national park, Murchison falls national park and kidepo valley national park. The safari land cruisers have a seating capacity of 5-7 travelers with well-fixed seat belts. The 4×4 safari land cruiser features a pop-up roof where travelers stand to gain direct sunlight, clear views and uninterrupted photographs. The windows of the vehicle too are clear for clear viewing even when the traveler is seated. In the vehicle are first aid kits and a cooler box to make you comfortable throughout your safari. Car hire rentals Uganda Kampala offers customized 4×4 safari tour vans for rent in Uganda with capacity to reach far destinations. Safari vans have the capacity to climb steep hills and feature a pop-up roof for clear game viewing. 4×4 safari vans have a seating capacity of 9 people with enough space for luggage. For your comfortable drive on a Uganda wildlife safari, the vans feature Air conditioning, battery re-charging, first aid kit and comfortable seating area. The 4×4 safari super custom is almost similar to the safari vans but the super custom has a seating capacity of 5 people with spongy comfortable seats. 4×4 safari super customs feature a pop-up roof, clear windows, battery re-charging facilities plus Air conditioning and can maneuver Uganda’s terrain. 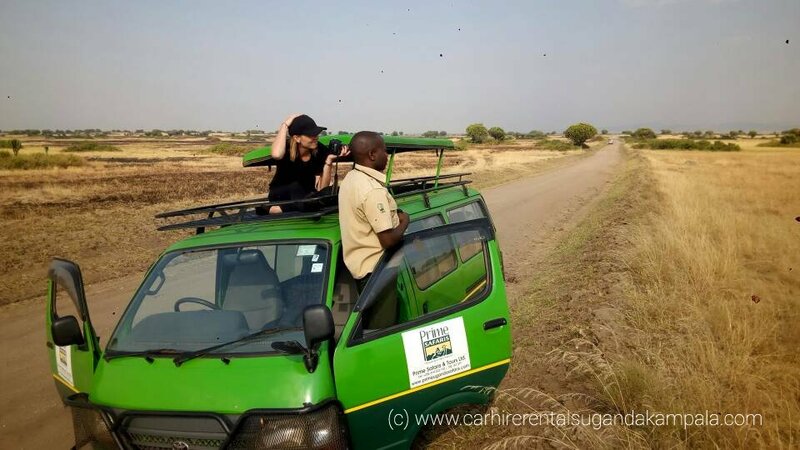 Whether it’s about a gorilla trekking safari in Uganda, Uganda birding safari or a wildlife safari in Uganda, hire a 4×4 safari vehicle and enjoy your safari. Travel with the trend with a 4×4 safari vehicle for hire and enjoy your tour in Uganda.